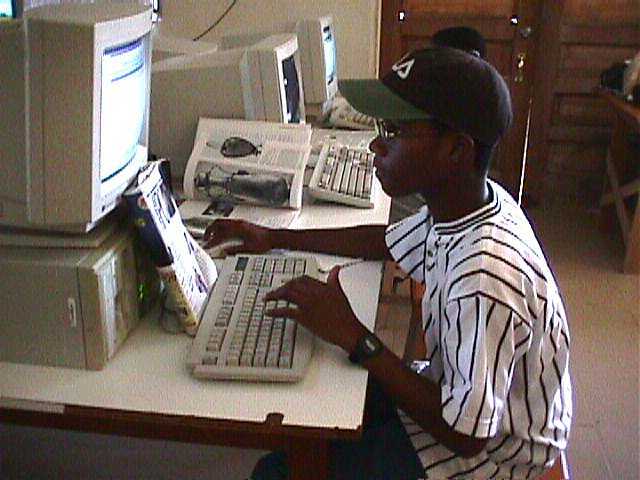 Summer Boot Camp 98 has started at the Anguilla Library Computer Club. Our volunteer, Gaetano Di Palo ("Nino") from Naples Italy, is a Professor of Business and Accounting. He arrived July 2 and stays until the end of August. Nino has been a offered accommodations at Sonesta, La Sirena, Fountain Beach and Cinnamon Reef, as well as many private homes. Many thanks to all who helped. The children's program runs 9am-Noon, Mon-Thu and is already oversubscribed. Some of the children are amazing in what they can accomplish. 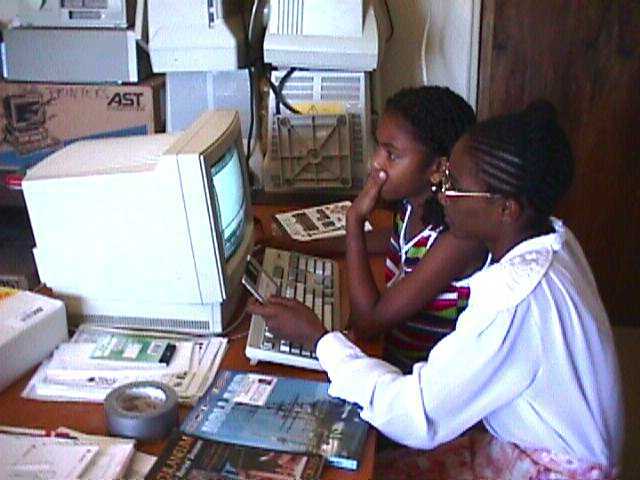 They have created artistic maps of Anguilla, written articles in a word processor, etc. The adult class runs 5-7pm Mon-Thu and is also well attended. It will cover all computer basics up through MS Office, email, and web pages, using a network of four brand new 200MZ 686 systems on loan for the summer. And the new air conditioning makes it all very comfortable. Marsha Duncan, who has just completed 5th form at high school, is our student intern for the summer. Marsha is just what we need to sign up all the children and adults, make their membership cards, show them how to use the computers, and keep them in line. Update: How Boot Camp Turned Out! If you want to drop in to observe, the club is located in the back of the Arts and Craft Building, next door to the library. We are always looking for volunteer instructors, who would like to teach 20 hours per week in return for donated accommodations in Anguilla!